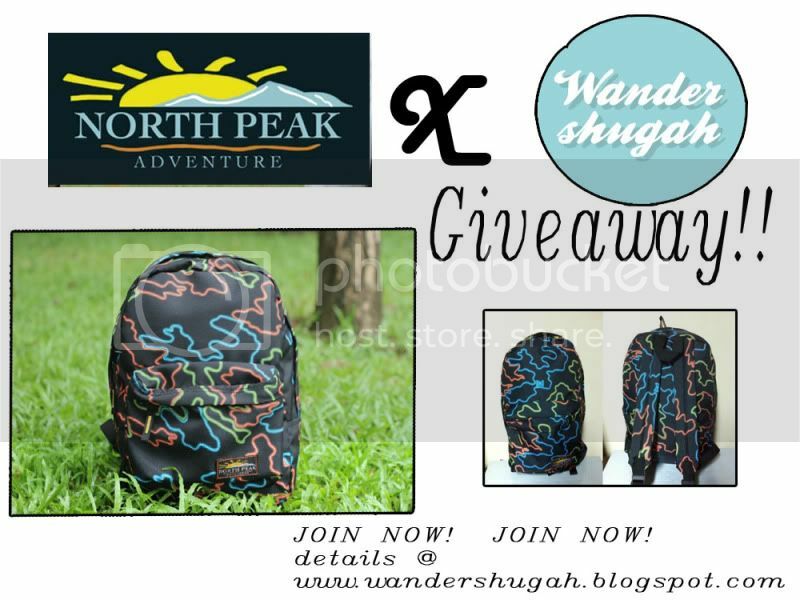 Join Wander Shugah x North Peak Giveaway! 1. Simply follow the steps at the Rafflecopter on the blog. Giveaway will end on July 10, 2012. Announcement of the winner will be announce the next day. Winner shall contact me themissys@gmail.com within 48hrs.